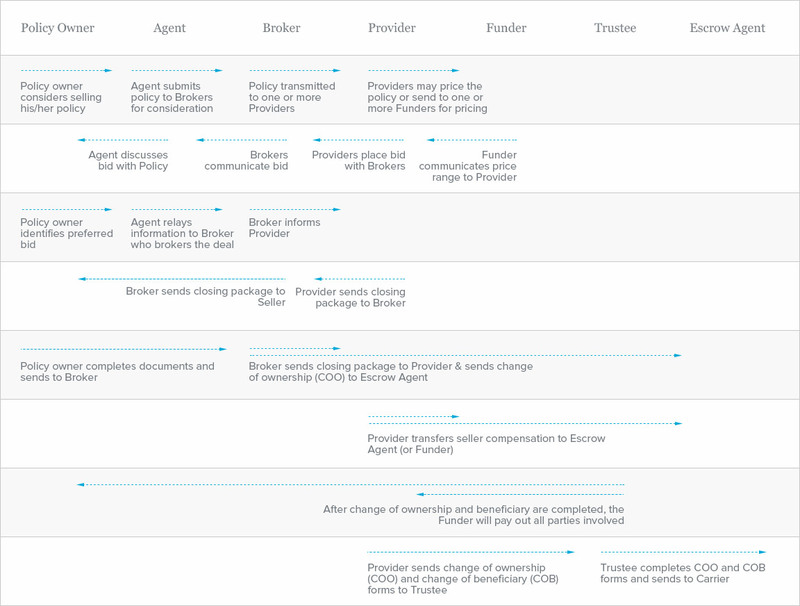 A life settlement is a financial transaction in which a life insurance policy is sold on the open market for a value greater than the policy surrender value (the cash value of the policy which the insurance company will pay to “repurchase” the policy) but less than the full policy benefit value. A life settlement is one of the most consumer friendly life insurance alternatives that offers an obvious benefit to the option of lapsing or surrendering the policy. For investors, life settlements provide the potential for low-risk, high return investing with low market correlation. Potential for high yield returns relative to investment grade fixed income classes. Insurance carrier’s credit is nearly always investment grade and insurance policies remain a senior obligation. The life settlements market has grown in size and estimates of the overall market range from an estimated $240 to $600 billion of policy benefits. The asset class historically has lower exposure to economic and financial market cycles. Disclaimer: The content available on this site is provided for informational and educational purposes only. It is not intended as an offer or solicitation for the purchase or sale of a financial instrument or securities and should not be viewed as, or relied upon as, an investment recommendation or advice. No representations or warranties are made as to the accuracy, completeness, or timeliness of this site’s content. The content available on this site is not intended to provide legal, tax, or accounting advice. Use of any of the content herein, including information, materials and opinions given and discussed, is at the User’s risk. Users are encouraged to discuss the information with any legal, tax, accounting or other professional deemed necessary to understand the risks and uncertainties implicit in investing. All non-issuer direct securities transactions are conducted through Equus Financial Consulting LLC, Member FINRA/SIPC.